The personal investment portfolio of the governor and U.S. Senate candidate has another potential conflict. TALLAHASSEE — Gov. Rick Scott has financial ties to the vendor that operates the troubled SunPass toll-collection system. Scott's financial link to the SunPass vendor is at least the seventh reported example of the wealthy governor's personal investments in corporations that do business with or are regulated by the state he governs. • By late June, records show, a manager of a hedge fund called Highline Capital Management held 7 million shares of stock worth $127 million in Conduent Inc.
• Scott and his wife Ann have invested at least $5 million in the fund managed by Highline, according to a financial disclosure Scott filed in July because of his U.S. Senate bid. • A Conduent subsidiary, Conduent State and Local Solutions, won a $287 million Florida contract in 2015 to manage SunPass. • The contract, which has grown to $343 million, was awarded by the Florida Department of Transportation (FDOT) whose secretary is appointed by Scott. Direct oversight of Conduent is the responsibility of the Florida Turnpike Enterprise, an arm of FDOT. • Scott attended a Senate campaign fund-raiser in Dallas in May at which his hosts included Darwin Deason, a Texas investor and a major shareholder in Conduent. Florida suspended payments to Conduent in July and slapped the company with $780,000 in penalties in August for missing deadlines specified in its contract with the state. 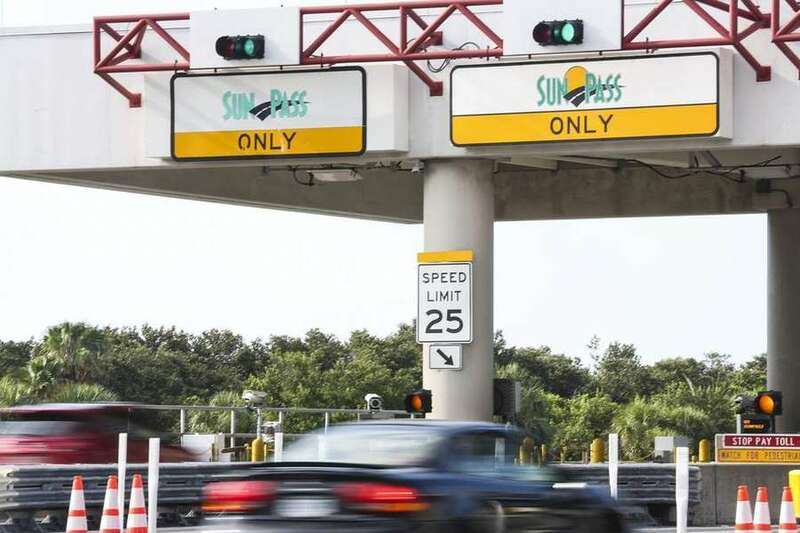 The state said in August it would reimburse motorists who were charged bank fees and overdraft charges because of glitches with SunPass, which millions of residents and tourists must use on state and local expressways. Scott's office asked for an investigation by the transportation department's Office of Chief Inspector General. But the governor took no action for nearly two months, WTSP Channel 10 reported, and he continued to defend FDOT's handling of the SunPass debacle as customer complaints mounted. At least 170 million transactions were delayed because of a billing system upgrade. "We will not let Conduent off the hook," Transportation Secretary Mike Dew said in August. "The bill for reimbursements will be sent directly to Conduent." FDOT formally apologized to affected motorists last month. At least seven other states have reported problems with Conduent's customer service operations: California, Maryland, Michigan, New Hampshire, New York, Rhode Island and Texas. The Scotts' 125-page financial disclosure statement, filed on July 27, lists four separate investment accounts with Highline Capital Partners. The largest account, valued at $1 million to $5 million, is listed solely in the governor's name. Three other accounts valued at $1 million each are listed in the name of Ann Scott or a dependent child. The Scotts have two daughters. Scott, a wealthy former hospital executive, saw his net worth skyrocket in 2017 by more than $83 million to more than $232 million — a 55 percent increase over the previous year. The Scotts' investment in Conduent isn't trivial. Conduent's sixth-largest shareholder,according to public documents, is Highline Capital Management. Private investments made by the Scotts have raised alarms before about a possible conflict between the governor's duties and his personal life. Other investments that posed questions involve health care, a high-speed rail system, a natural gas pipeline, prescription drugs, mosquito control and an oil services company. Scott, a Republican, is in a tight battle for the U.S. Senate against Bill Nelson, a Democrat who's seeking a fourth term. Voters will elect one of them on Nov. 6 in a race that's seen as critical in deciding which party will control the Senate. "This is another example of how Mr. Scott's investments have included companies that stood to benefit from his administration's actions," said Dan McLaughlin, a spokesman for Nelson. Scott's campaign declined to directly address questions about his SunPass-related investment, including whether it represented a conflict of interest for the governor. The Scott campaign criticized the Times/Herald for asking what it said were "redundant questions" about the governor's personal finances. "Has the Times assigned you to exclusively comb through the governor's financial disclosure?" campaign spokeswoman Lauren Schenone wrote in an email. "Is the Times going to cover Bill Nelson's investments, which he has total control over?" The campaign referred the Times/Herald to a set of questions and answers it released in July and noted that Scott's investments are in a blind trust managed by an "independent third party" to shield investments from Scott's control to avoid potential conflicts of interest. "The governor has no control over what is bought or sold in the blind trust," Scott's campaign said. However, a Times/Herald analysis showed that for years, Scott's family bought and sold assets that closely mirrored those in the blind trust. The trust is managed by a trustee, Alan Bazaar, who had been a Scott business associate before he became governor. The blind trust was approved by the Florida Commission on Ethics in 2011, the year Scott became governor. Scott has not said whether he would continue to use a blind trust if he is elected to the Senate. The blind trust has been a subject of legal challenges. A case pending in the First District Court of Appeal would require Scott to disclose more details about his blind trust. Tampa Bay Times staff writer Hannah Denham contributed to this report. Contact Steve Bousquet at [email protected] and follow @stevebousquet.